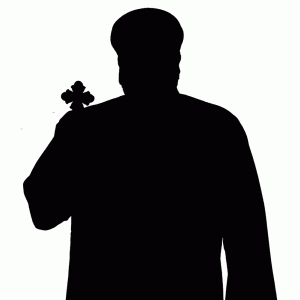 Father Gregory Bishay was born in Cairo on May 24, 1966. He earned a Bachelor of Science in Engineering from Ain Shams University in Cairo, Egypt in 1988. He also has a Masters and PhD in Computer Engineering from Vanderbilt University Nashville, Tennessee in 1997. He worked in Computers and Electrical Engineering and founded a Video Streaming Company in the U.S. He served in St. George Church in Heliopolis, Egypt. He moved to Nashville and served at St. Mina church in Nashville, Tennessee, and St. Marina Church in Irvine. On May 27, 2001, His Grace Bishop Serapion ordained him presbyter to St. Verena and the Three Holy Youth Church, which is the Coptic Orthodox Christian Center in the city of Orange, CA. On Sunday, January 8 2017, he received the priestly dignity of the rank of Hegumen.